Now that we’re currently in the throws of wedding season, we’ve come across some gorgeous finds and these stunning sparklers are no exception. 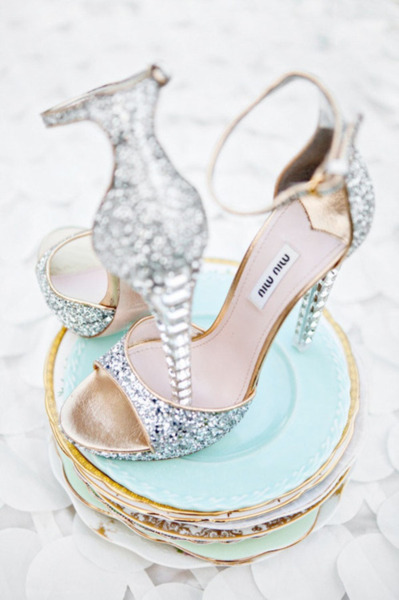 It’s incredible how many ways you can take the little details of your wedding, like your bridal shoes, and make them part of one cohesive and stunningly perfect theme. Dont these just scream Pretty Pretty Princess and Disco Dancing Diva all at once? We salute you Miu Miu……these truly are perfection! For all of us who love this look but not the price, not to worry….we’ve got an AWESOME project in the works that wont disappoint. Stay tuned!